Liverpool are reportedly planning to fend off interest from the likes of Real Madrid by handing winger Mohamed Salah a £200,000-per-week deal to stay at Anfield. The Egyptian has had the best-ever debut season of any Reds player so far, netting 36 goals in all competitions since signing from Roma for around £36m last summer. According to The Mirror, Liverpool are expected to secure the winger’s services with a bumper deal that will see interest from Madrid and Barcelona wane in the upcoming transfer window. The newspaper says that, unlike Philippe Coutinho, who had his heart set on a move to the Camp Nou, Salah is settled at Anfield and wants to build on his debut season with the club. 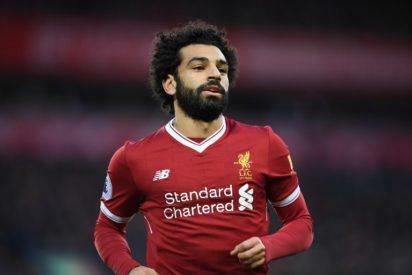 The post Liverpool to secure Salah’s future with £200k per-week appeared first on Vanguard News.